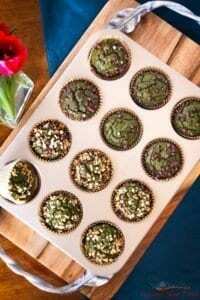 I just baked a batch of these green healthy beauties (banana oats spinach muffins) for the upcoming school week. These are very healthy and I am using them for delicious and healthy snacks for my daughters in their lunch boxes. After a long summer break, I am enjoying coming up with fun ideas for great homemade snacks to entice my children to want to eat their lunches. As a busy mom it helps me to know my girls are eating well at school to ensure optimal learning experiences. If you ever had to let go of tasty muffins or cakes due to egg or gluten, this recipe is also for you. These banana oats spinach muffins are made from oats flour as a base, with banana and spinach to enhance the nutritional value and taste of the muffins. Oats flour is considered safe to consume for those with gluten allergies or gluten intolerance. 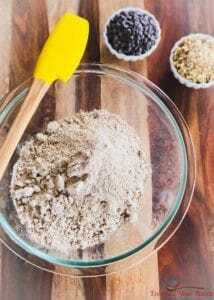 Due to its high fiber content, oats flour reduces the heart disease risk, lowers cholesterol, helps diabetics and decreases blood pressure (Reference: https://draxe.com/oat-flour/). Lastly, Oats are rich in wide variety of minerals and vitamins. They make you feel full for longer. 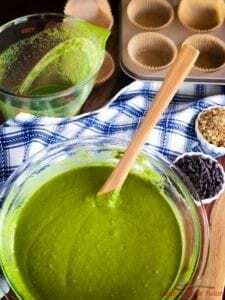 For kids, this is a great way to add some green spinach and banana into their diet without them knowing about it. These are good for a quick breakfast, snack or for school lunches. You can make a big batch and freeze them. These are freezer friendly, just microwave for few seconds to make warm before serving. 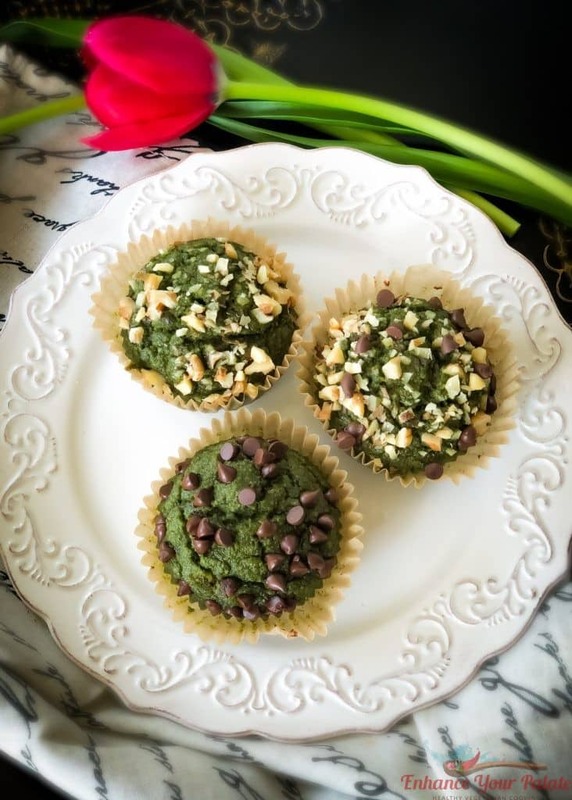 Most recipes for gluten free muffins simply use the gluten-free baking pre-mix flours available in the market, which does not necessarily give me the comfort of knowing what is in there. 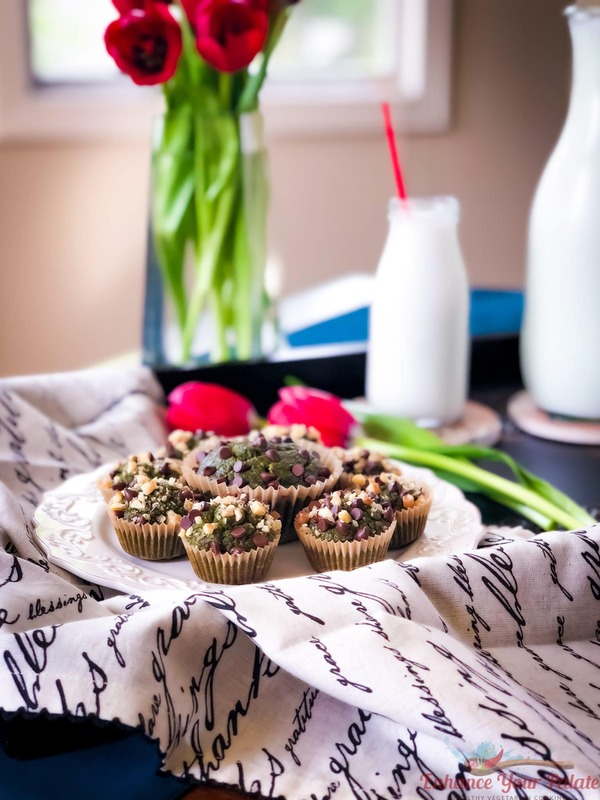 This particular recipe for gluten free, vegan muffins uses all natural ingredients and is easy to make with total prep and cook time of 30 mins. All my friends and family who tasted it absolutely loved the moist and tender muffins. They could not believe that these were gluten free and vegan. For more details on the props used in the pictures, please see the end of this post. Nut free – If want to make this nut-free, replace Almond flour with same quantity of oats flour. Skip the walnut topping. Non-vegan – For non-vegan version, you can use regular milk. Preheat oven to 350oF, and line a muffin pan with paper liners (or use silicone muffin cups sprayed with cooking spray). TIP: To make it easy to remove liner from muffins, without sticking, apply some oil to the liners using an oil brush. I used rolled oats and ground them in a grinder. 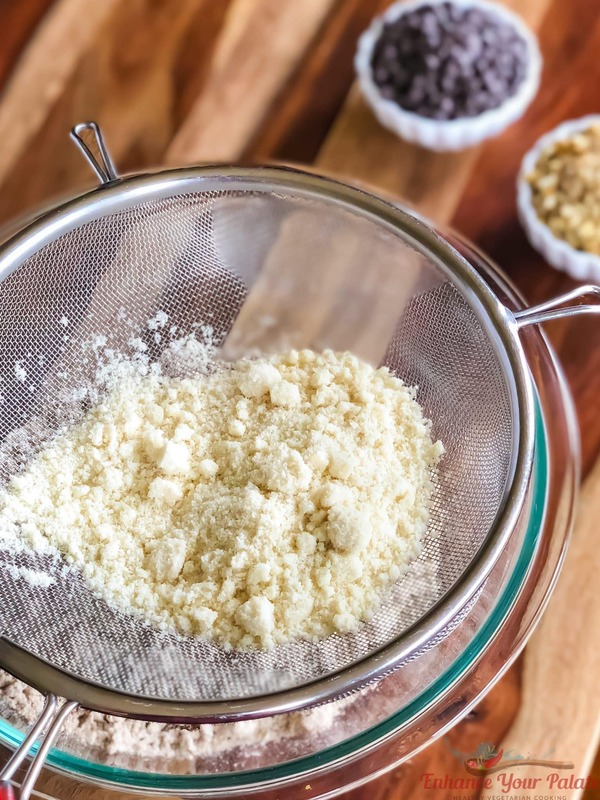 Sieve the almond flour before combining with other ingredients as it tends to form lumps. Combine all dry ingredients in a large mixing bowl. Spoon the batter into the muffin pan, sprinkle some chocolate chips or chopped walnuts on top. 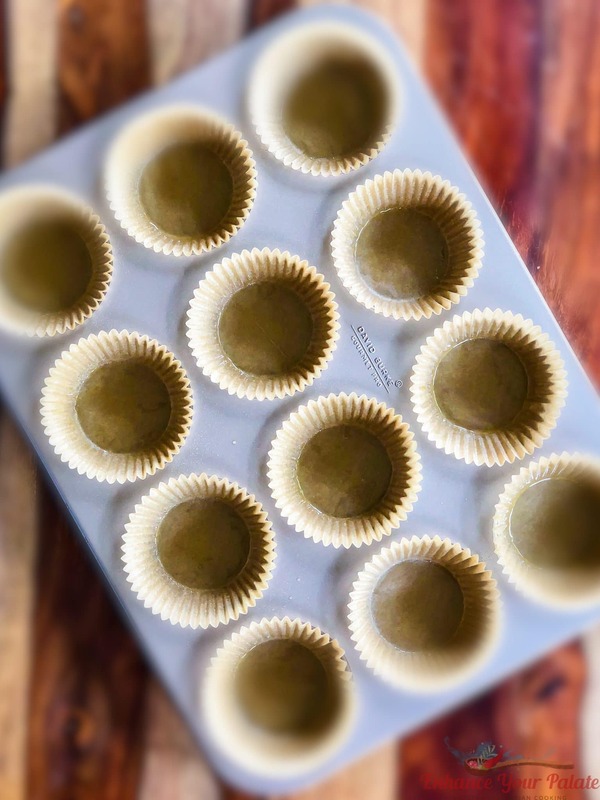 Bake for 18-22 minutes, or until the muffins are firm to the touch on top, but not quite brown, or do a toothpick check if the muffins are baked from the center or not. Toothpick should come out clean if the muffins are done. 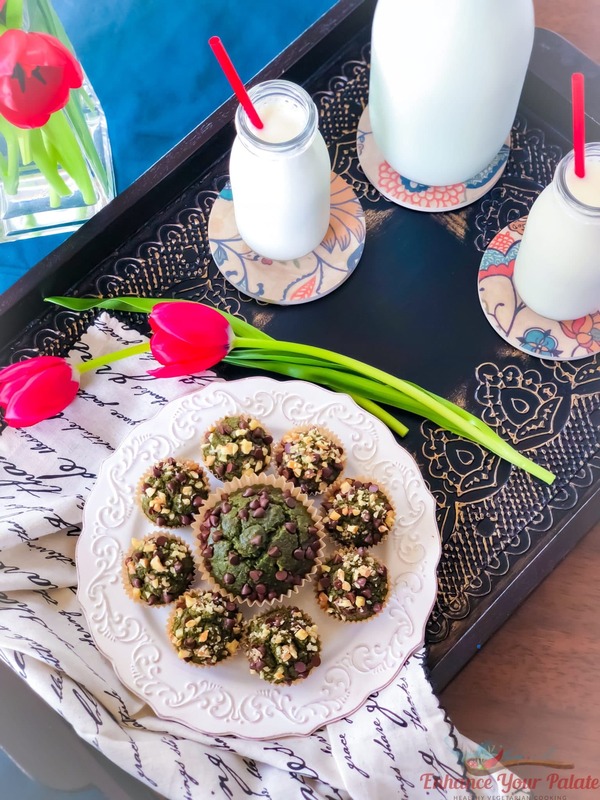 Enjoy with your friends and family the goodness of these muffins with the health benefits of oats, nuts, spinach and banana. 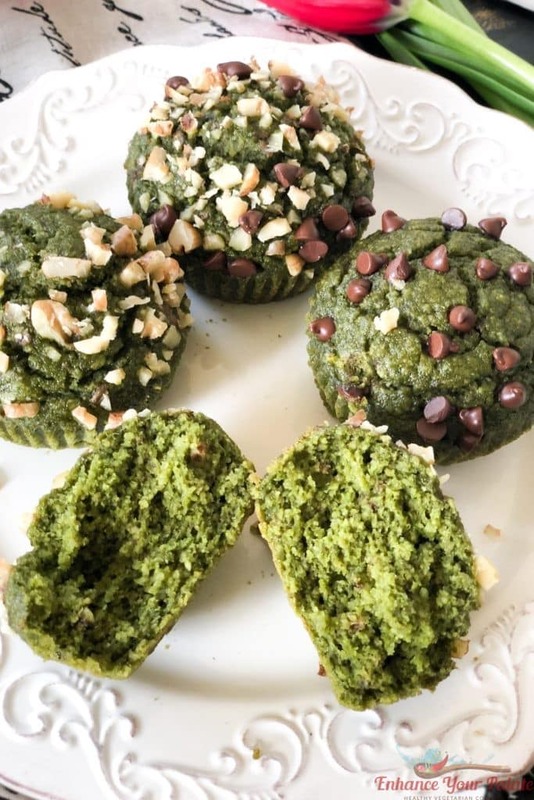 The green muffins are ideal swap for other muffins which are full of sugar and fats. This is a recipe that has family and friends always asking for more! 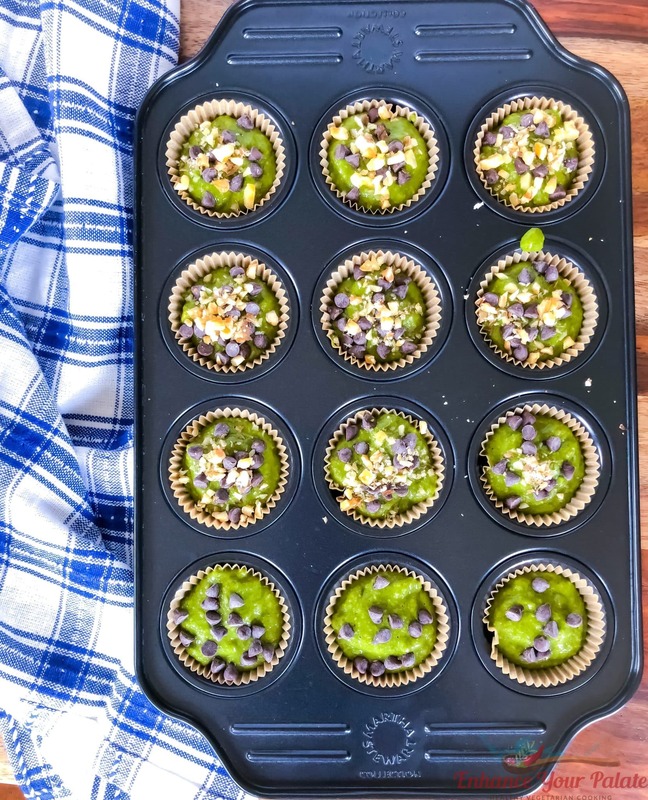 Give it a try, you will be delighwith the taste and have a healthy snack recipe to add to your collection. Let me know what you think in the comment section below. Have a great day and come back to visit my page soon! Serving Tray in featured image- Exact same design in no longer available, but similar product. 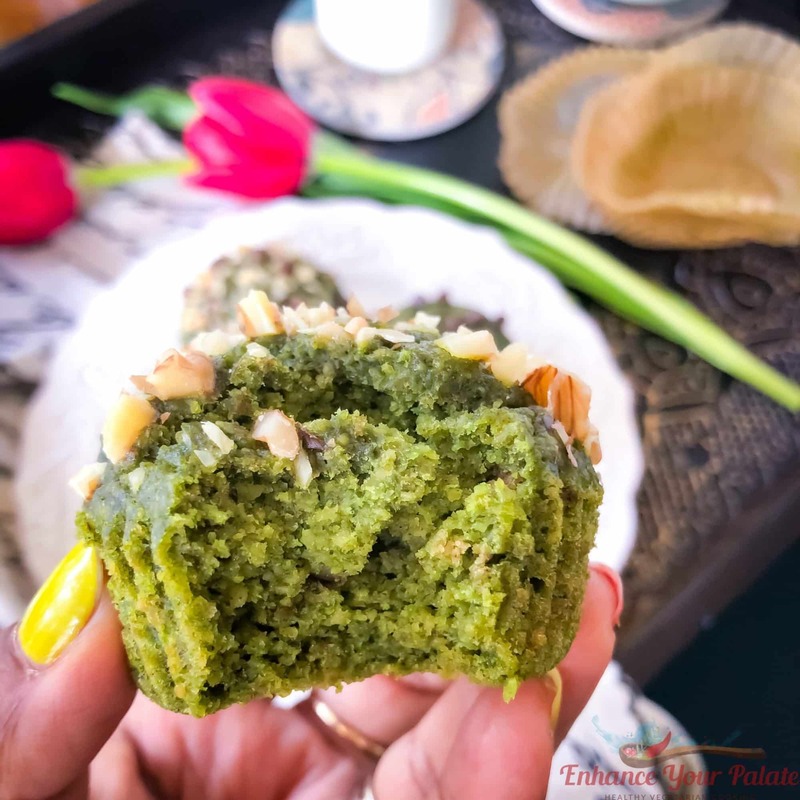 These muffins Banana Oats Spinach Muffin are made from oats flour as a base, with banana and spinach to enhance the nutritional value and taste of the muffins. 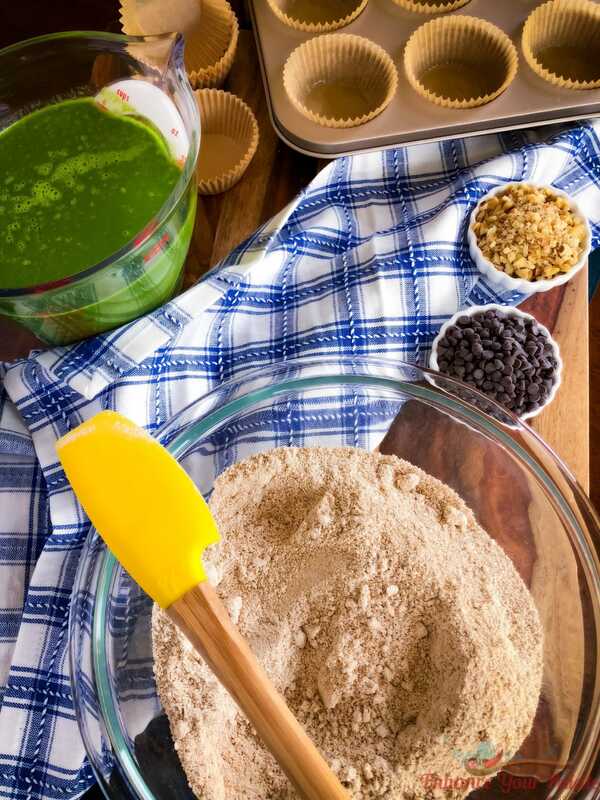 Oats flour is considered safe to consume for those with gluten allergies or gluten intolerance. 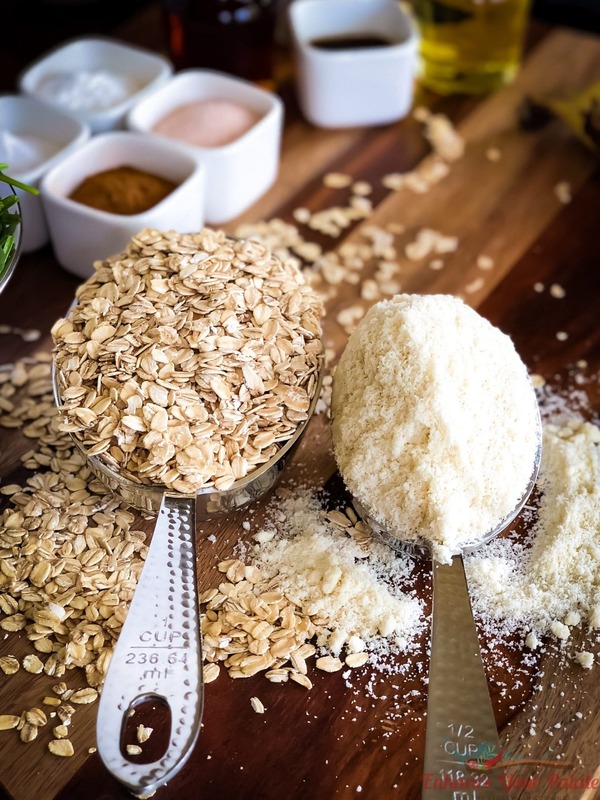 Due to its high fiber content, oats flour reduces the heart disease risk, lowers cholesterol, helps diabetics and decreases blood pressure (Reference: https://draxe.com/oat-flour/). Lastly, Oats are rich in wide variety of minerals and vitamins. They make you feel full for longer. 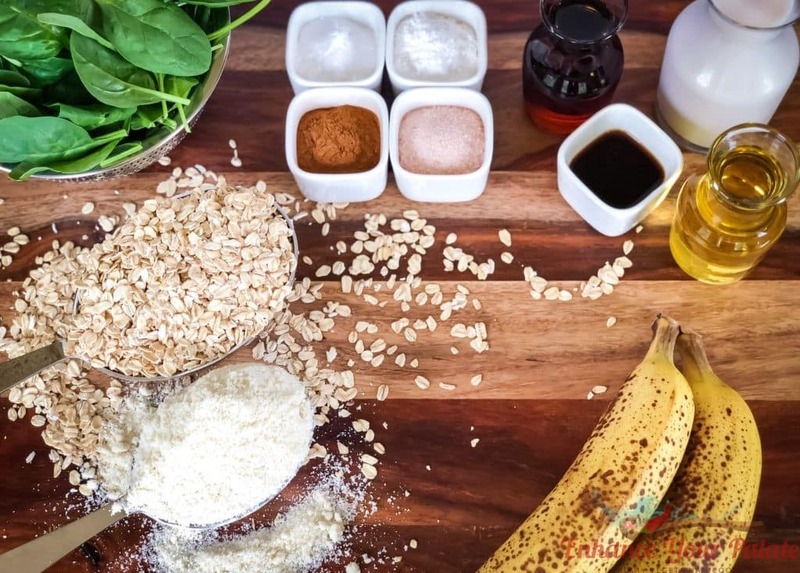 For kids, this is a great way to add some green spinach and banana into their diet without them knowing about it. These are good for a quick breakfast, snack or for school lunches. You can make a big batch and freeze them. These are freezer friendly, just microwave for few seconds to make warm before serving. Bake for 18-22 minutes, or until the muffins are firm to the touch on top, but not quite browning. 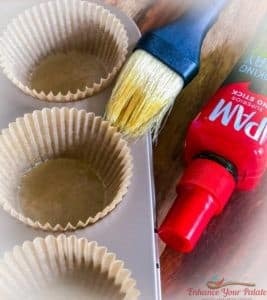 To make it easy to remove liner from muffins, without sticking, apply some oil to the liners using an oil brush. If want to make this nut-free, replace Almond flour with same quantity of oats flour. Skip the walnut topping. For non-vegan version, you can use regular milk. Just a request, if you try this recipe don't forget to leave your feedback. Hope you like it. Tried them today morning. Amazing texture and taste. Subbed Maple syrup for Honey and eyeballed the Spinach as I only had frozen (put in 1 cup plus a handful). I am a silent member of Bento moms as well. 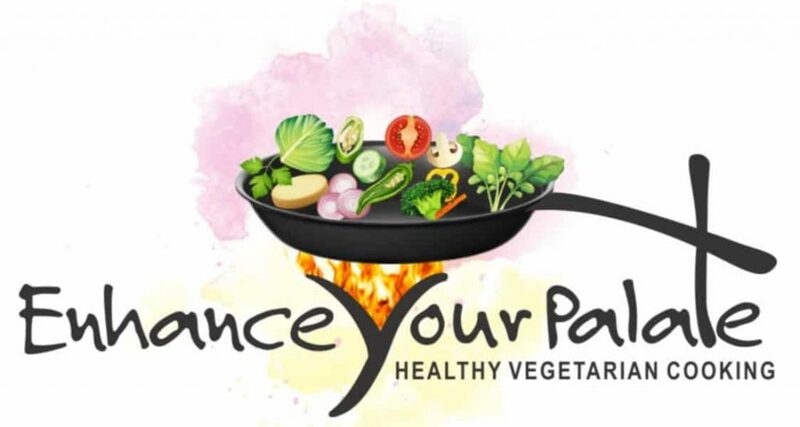 It’s amazing how your recipes toe the line between healthy and tasty. As a full time working outside mom, incredibly helpful to have such recipes on hand!!!! Thank you for trying and leaving a positive comment ? I am so glad that you loved the recipe. Being a mom always experimenting to add some healthy factors in my recipes. If you happen to try more recipes, would love to hear your feedback. Keep cooking ? Thanks Richa for trying them, liking them and leaving your review ? 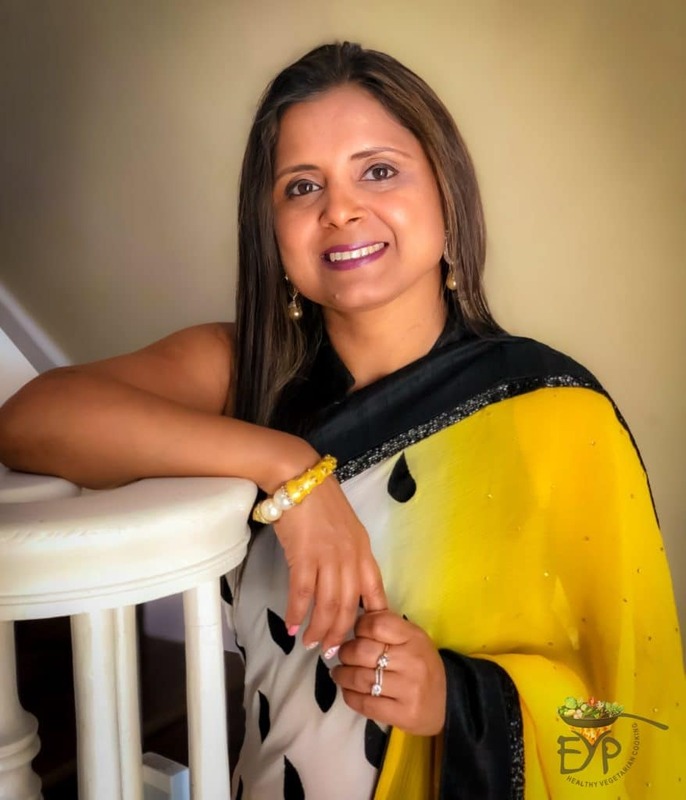 Hi Rupali, Love your presentation and recipes that were made in a healthier way. Wanted to try this recipe, but when I check baking soda link it takes me to baking powder, could you update the link. And can I switch maple syrup with organic or brown sugar. Please post more baking recipes as wanted to try them for my son who loves cakes and cupcakes. First of all thank you so much for visiting my blog and liking it. Second yes you can substitute brown sugar in the recipe. First try substituting little more than half of the maple syrup quantity and see if muffins come out enough sweet. Lastly thank you for bringing the glitch regarding baking soda in my notice. I’ll fix it. Finally made these wonderful muffins, they came out so good everyone in the family loved them. 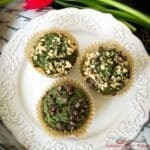 My husband is so surprised that the cupcakes are made with spinach and tasted delicious. Really happy to cook this healthy and tasty recipe for my son. Thanks!! Wanted to share the pic as well, I think I don’t have option for it.